Something out of the ordinary, perhaps even "strange" happened this summer - we created a TV commercial! We had a lot of fun coming up with the idea of "The Container Store Effect" and producing the spot. If you haven't seen it, you can check it out below. Wondering exactly which of our favorite products we used to organize our family's home? Here's the breakdown. 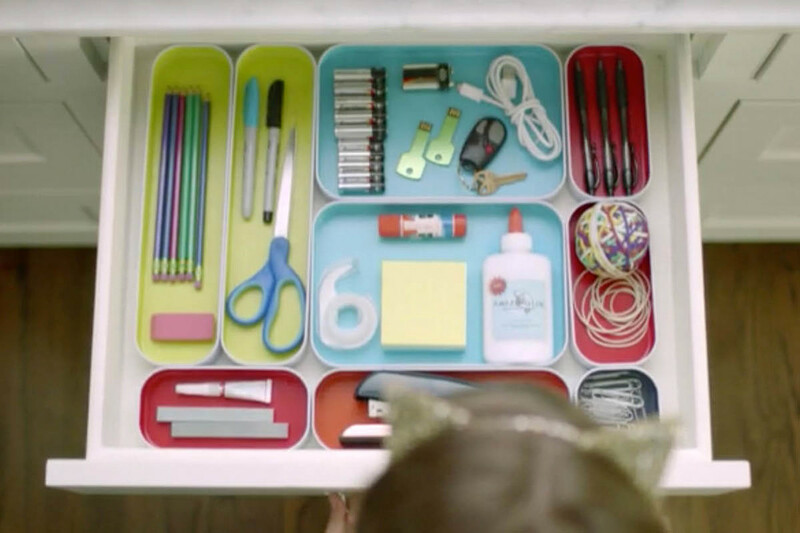 You too can have a junk drawer that isn't junky when you organize supplies in colorful Three by Three Deep and Shallow Metal Drawer Organizers. 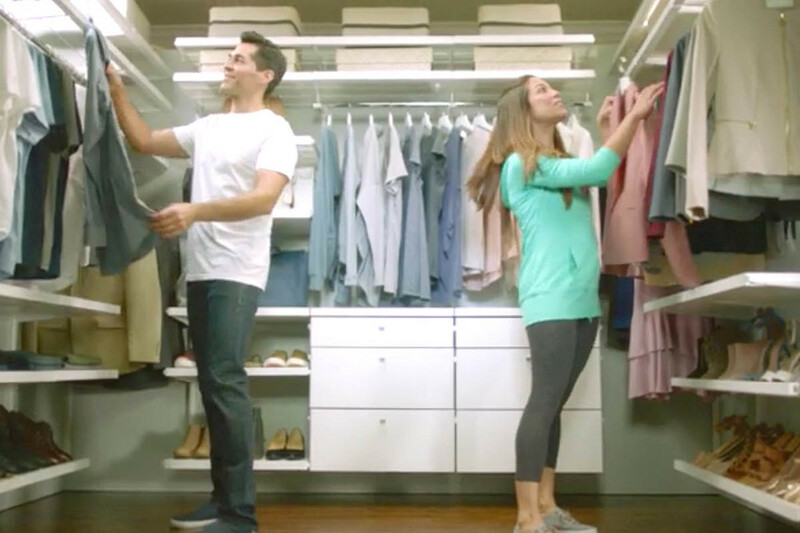 In the master closet, we installed a custom elfa décor closet built for two with Gliding Shoe Racks, Expandable Valet Rods, Décor Shelves and Drawers with Décor Fronts to take the stress out of getting dressed. 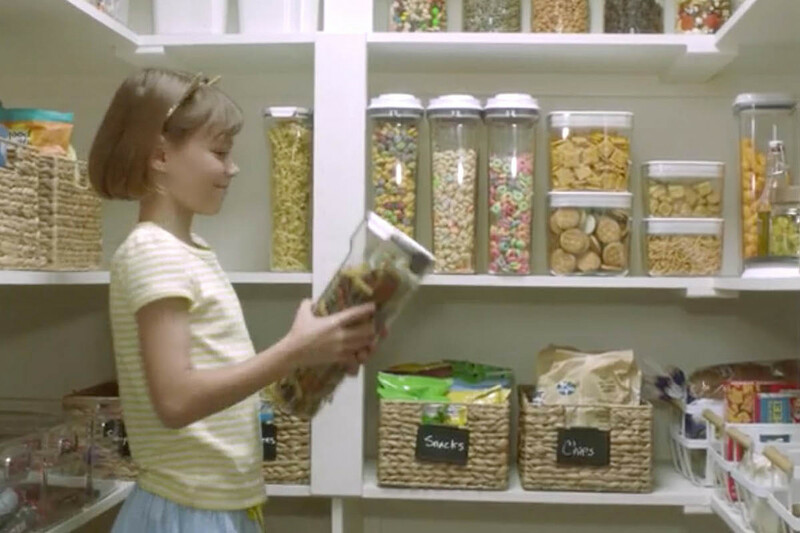 In the pantry, we used a variety of bins, canisters, containers and labels to create a place where any member of the family (even the kids and dad) can find exactly what they are looking for. Can you spot them all? HINT: We used more than eight different products on these shelves! 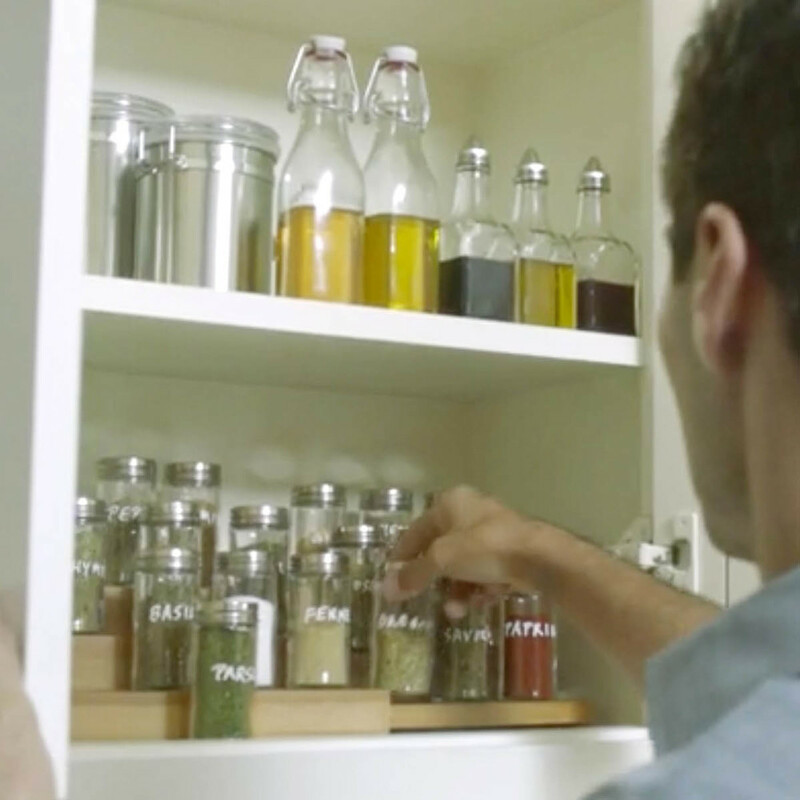 Quickly finding the right spice jar is no problem thanks to our 3-Tier Bamboo Expanding Shelf and labeled Spice Bottles. Oils and vinegars go from cabinet to table in Glass Oil & Vinegar Cruets. The key to getting your teen to take out the trash is to make it easy. Our simplehuman Stainless Steel 10 gal. 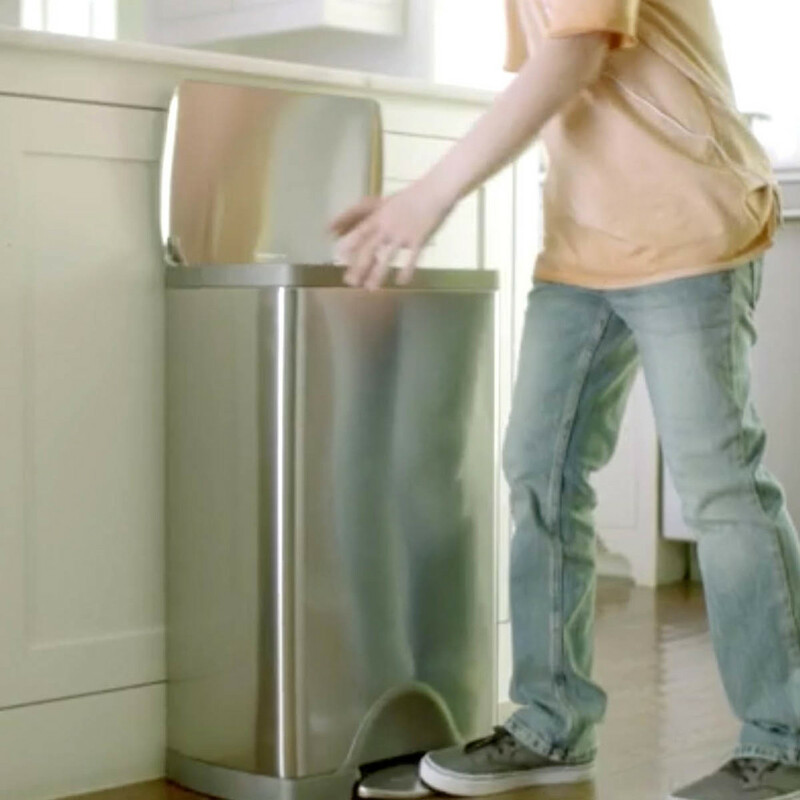 Rectangular Step Trash Can does just that with a wide opening and easy-open lid. 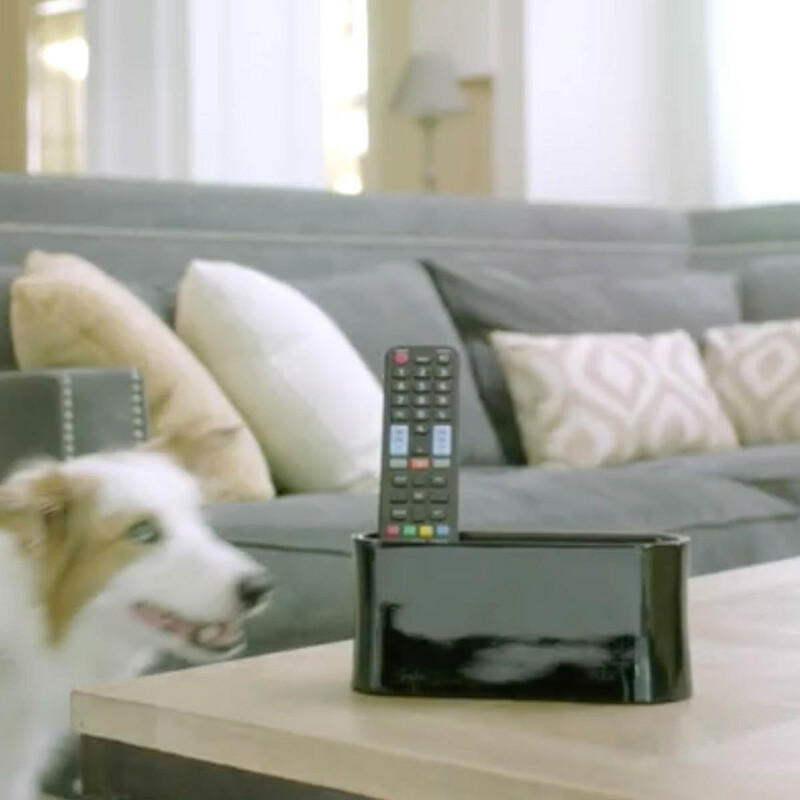 And even the dog, Piper, can find the remote thanks to the Yamazaki Oval Remote Control Caddy. We admit, this was one of our favorite shots of the day. Just look at that face! 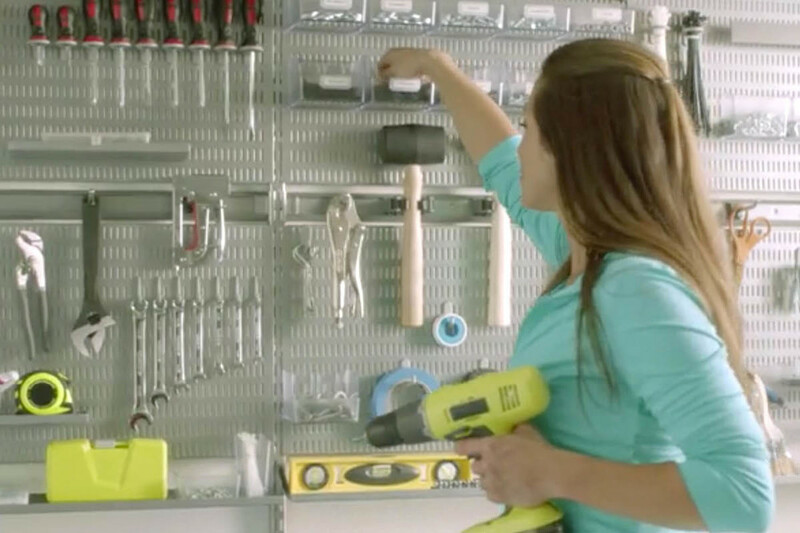 Finally, custom elfa utility Boards, Shelving and Drawers in the garage make it a snap to quickly find anything from the smallest screw to a pair of Vice Grip pliers. And that's how we created "The Container Store Effect" room by room. Have you experienced the phenomenon yourself? We'd love to hear about it.